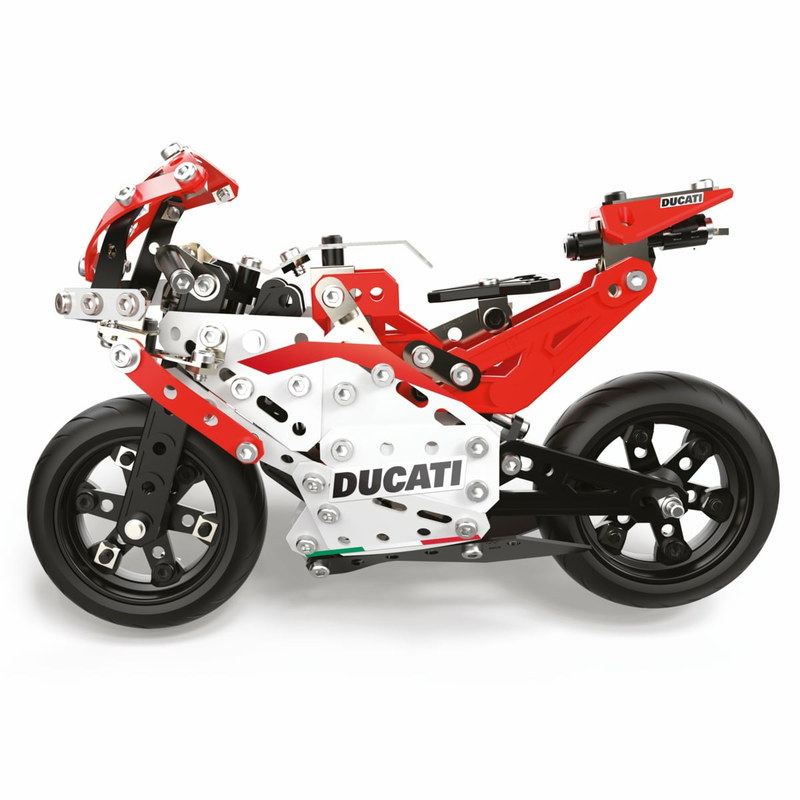 A must-have package of metal components to build a replica of the Ducati Desmosedici GP. You can have fun building and personalizing the model with the parts, tools, and decals included. The steering and components actually work. Passion from childhood.